A Block Museum exhibition reveals the glory of Africa’s medieval past. Professor Uzoamaka Emeka Nzelibe represents young immigrants seeking a safe haven. We scouted the campus for fashionistas. Here are their Insta photos and style stories. Five Northwestern students share their adventures from a summer abroad. 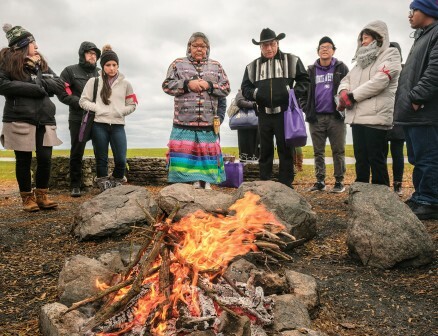 Representatives of Sand Creek Massacre descendants gathered on campus to share reflections. It is critical that we continue the LGBTQ movement’s fight for recognition and representation. Gary Cooper founded Rheaply, a platform that allows research equipment to be reused. The new Welsh-Ryan Arena received $110 million in upgrades. Belden's CEO started a program to help job applicants break the cycle of substance abuse. Doctoral students escape the lab, find community on the climbing wall. Fog artist Fujiko Nakaya presents shape-shifting installations to connect people to nature. The NU Club of Beijing's vice president talks about his support for music at Northwestern. Gail Becker left her corporate career to create Caulipower, which makes gluten-free pizza. 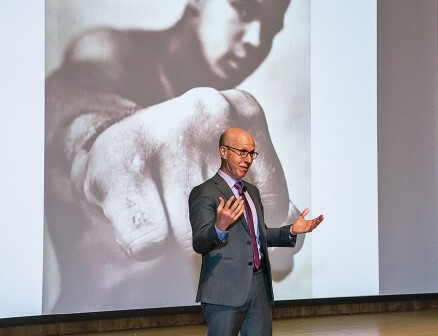 Faisal Mohyuddin shares how Northwestern helped shape his life and career. Northwestern researchers reveal four personality types based on new data. Alykhan Kaba manages Afghanistan’s first rock band. 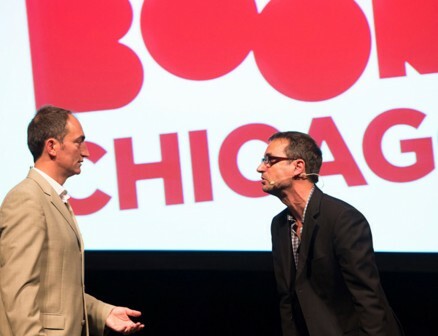 Twenty-five years ago Pep Rosenfeld ’90 and Andrew Moskos ’90 launched Boom Chicago. Kristen Sanders’ digital marketing startup puts college students to work for local businesses. Matt Eliason, the all-time leading scorer for men’s soccer, is featured in Messi & Me. The brain works to consolidate memories during sleep. Researchers hope to amplify the effect. Cheesecake maker Marc Schulman is an outspoken advocate for career and technical education. 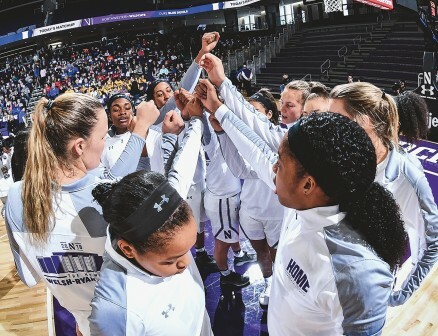 The new Welsh-Ryan Arena offers state-of-the-art amenities and accessibility for all visitors. A student team created the Alligator Tail, which helps wheelchair users practice wheelies. Embracing opportunity, benefactors have helped to establish new faculty chairs across Northwestern. Fifty years ago, the NAA pioneered a new concept to bring graduates back to school. Classic car collector Jody Reeme talks about her favorite rides.